Yesterday I witnessed the largest display of public mourning I have ever seen. Thousands gathered at Kasubi, the burial site of four Buganda kings, to mourn the fiery destruction it endured last week. The New Vision printed estimates of the crowd at 100,000, but I’ve been in a crowd that large before and this was much bigger. 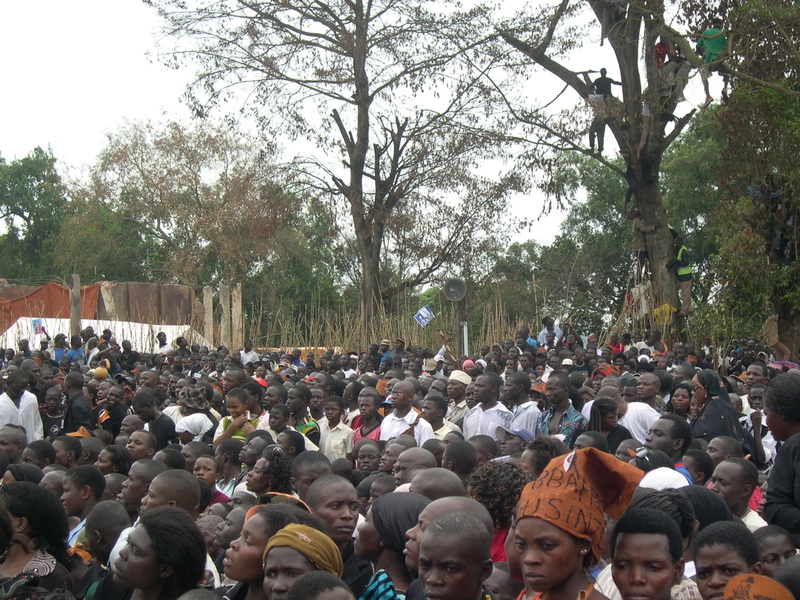 There had to have been 100,000 in and around the Kasubi quadrangle alone. Although both the Vision and the Monitor printed stories this week on the kingdom and the government beefing up security for the Friday prayers, the last day of mourning and the most public commemorative event yet at Kasubi, these forces managed to keep the situation just barely within control. Two died and more than 150 were injured, but considering what I saw yesterday, these numbers represent security blessings. Along with three friends, I weaved through the crowds up toward the front near journalists and ministers of parliament. There people pushed, shoved, shouted, sweat, fainted, climbed the trees, mourned and sang as security guards from both kingdom and government blew futile whistles and waved threatening batons at the throng. When the Kabaka showed up, it was difficult enough simply to stand up, much less see him and his entourage. The lucky few who caught a glimpse spurred a huge roar from the crowd before succumbing to waves of rowdiness and returning to the task of avoiding a fall. What I didn’t realize until after the Kabaka left was that the logistical problem with this crowd was singular and fairly simple: this was a parade forced into a space where it could not realize its desire to move. 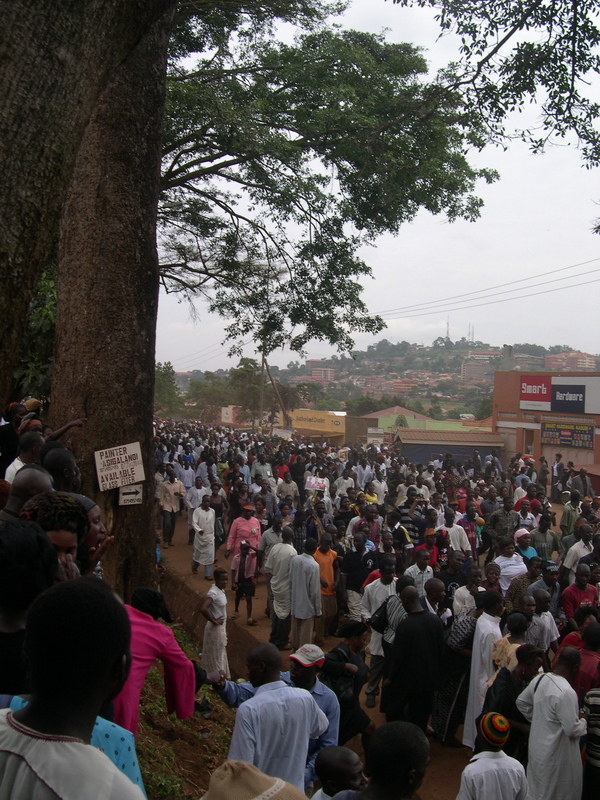 The crowd cleared out of the enclosed stagnation to march through Nakulabye back to Mengo, where it eventually dispursed. This physical expression of political desire for movement and change has people talking. For now I think we can simply be happy that, for the most part, things didn’t get too out of control.